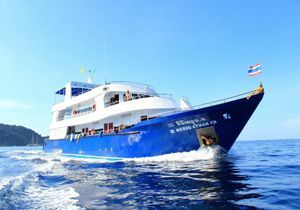 Our liveaboard trip are mostly full a month or 2 in advanced, don t expect any last minutes prices in very busy times, it only happens when people cancelled last minutes, which open a few spaces on the boat. Early bird promotion applies usually for booking made before September, booking must be paid in full at the time of booking, contact us for checking available early bird offers. Early bird in October -3000 THB ! We have Last Minutes offers on some trips ! * Available only on booking made before 1st September and paid in full, contact us to find out about offers! 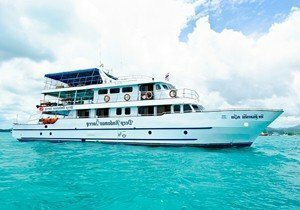 Last minutes offers are filling up usually quite quick as it’s for a few remaining spaces avilaible last minute onboard. To get the best last minute deal, send us an email and we will inform you of the last minutes offers. Our last minutes offers are usually made 1 week before departure, if you are flexible on your dates, cabins type and so on, we can send you the best offers when they are available. Waiting for a last minutes means that you might not get the cabin you wanted, trip length you when or the date you wanted, but it’s cost efficient.